Ardon Sweet Science Gym was founded in January 2005 by head trainer, Greg Ardon. He was introduced to boxing and the martial arts and was inspired by his late grandfather, Moises Ardon. He encouraged Greg to open a gym and to share his knowledge and passion. Greg is a former all around gymnast and a former amateur boxer who started training in traditional martial arts as a young boy. At the age of 19, Greg competed and won the Four Star full contact world championships in San Francisco, California. At that time, he felt the need to improve his fighting game and picked up Boxing and Thai Kickboxing. 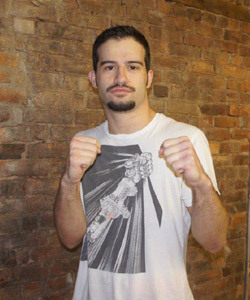 He competed and won the New York State Kickboxing and National Full Contact championships. Greg is also a Sports Psychologist who believes that the mind has great power over everything we do and incorporates this concept into his teachings. Greg invites you to treat yourself to a lesson of the Sweetest Science of Boxing, Kickboxing and MMA. You never know, you may just get addicted to it and the results will only be beneficial. Senior Instructor Richard Callado is an advanced student of Greg Ardon and Rene Dreifuss. 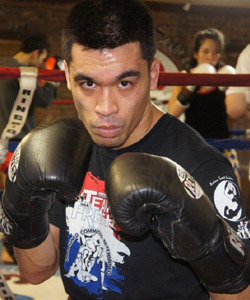 He has trained and fought in Thai boxing, MMA, and Jiu-Jitsu. He currently teaches our Jiu-Jitsu class on Tuesdays at 8pm. Senior Instructor David Ortiz is an advanced student of Greg Ardon. He has trained and fought in Boxing, since he was 17 years old. 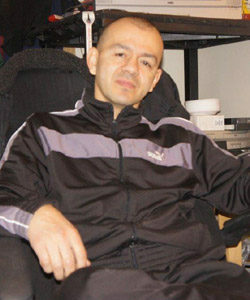 Senior Instructor Naim Mehmeti, is an advanced student of Greg Ardon. He has trained and fought in Thai Boxing.